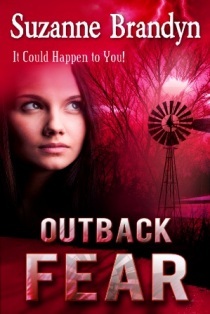 Today I’m welcoming Suzanne Brandyn, author of Outback Fear, a suspense novel with a touch of romance. Thank you for stopping by, Suzanne! Suzanne Brandyn was born on the edge of the outback of NSW Australia. She pursued life from the hot, red dust of cattle country to many Australian cities and small country towns. She has mustered sheep on a horse and a motorbike, spotlighted for foxes and learned to shoot a rifle, dived the Great Barrier Reef and surrounding islands, speared fish, swam with sharks and dolphins, avoided sea snakes and moray eels, and taken free rides on sea turtles. 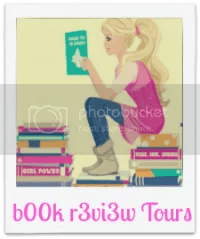 Suzanne has had four novels published with an e-press publisher, and on May 15th had her fifth novel published, Outback Fear, a suspense with a touch of romance. I undertake a rough draft, and go from there. I have a main plot and I ask what if, this leads to subplots etc. Although, at times my characters take on the lead and that’s where I find it becomes invaluable. My favourite scene is where Savannah realises Fear is her coffin, and anger her sword of defence. She stands her ground and fights for what she believes is right, for what she and her daughter deserve. I used to live on a cattle property, and at times I was alone with a small child. I questioned the what if this or that happened, and Outback Fear was born. I have a vivid imagination and I absolutely loved writing this novel. My highest goal was to be published with a traditional publisher, and I have come close twice. Although this is still at the forefront of my mind, I love knowing readers are enjoying my stories, that women will be taken away from their everyday life and problems on a journey with my characters. Doing this pleases me immensely. Study the craft. Keep writing, reading and learning. A writer gets better with every manuscript they write. I believe this is true, as I have found the more I write the better I become. Or so they tell me. 6. Can you share with us something off your bucket list? I have always wanted to swim to an island not far from where I live. It’s is two perhaps three kilometres from shore. I’ll make it one day. People warn me about the sharks, so I guess I will have to take a spear gun or a diving knife. Oh, and have someone close by to rescue me if need be. Lol. Released on May 15th. A story of one woman’s courage of fighting back, of redemption and newfound love. Savannah Harris is determined to raise her three-month-old daughter in the best possible environment, and flees home to Grace Creek, an inheritance from her recently deceased mother. But even this peaceful property cannot cocoon her from her abusive husband or a stranger who intends to rip her life apart. In an atmosphere thick with fear, Savannah realises she cannot keep running, she must fight back or risk losing not only her life, but the only family she has left, her precious daughter. You can find out more about Suzanne’s novels on these links. Thank you for having me, Elizabeth.